As a Poolwerx Franchise Partner, your success is our success. You do not require prior experience in pool and hot tub / spa management to become a successful Franchise Partner. Instead, we invest in quality training and ongoing support to help you succeed and flourish in your Poolwerx business. Our in-house Pool School introduces you to everything you need to know as a Franchise Partner. From the technicalities of pool and hot tub / spa management to the key concepts that will help you succeed in your day-to-day business operations. This training is supported by field visits to ensure you develop an authentic understanding of all concepts. The end of your formal Pool School training isn’t the end of the support we provide. As a Franchise Partner, we invite and encourage you to attend additional training, including training that you’ve identified as an area of particular interest. This may include marketing, bookwork, IT and more. We offer training support to all our Franchise Partners from our regional Business Development Managers, our Poolwerx support center staff in Dallas and frequent interaction with fellow Franchise Partners. This training is reinforced by information and modules at monthly business meetings, state conferences, the national convention and special events. Our structured training programs not only get you started in the Poolwerx way of life – they also ensure that every Franchise Partner and their team receives the latest and most up-to-date business and pool maintenance training. Training programs cover a range of business and industry-specific topics including bookkeeping, marketing, commercial sales, legislation, Human Resources, First Aid, water chemistry, plumbing, problem-solving and commercial pools. Poolwerx also works closely with industry bodies such as the National Swimming Pool Foundation (NSPF) and local, state and national government entities to obtain certification for you and your team. The Pool School program is delivered to all Franchise Partners as they join Poolwerx, regardless of your background and experience. Delivered through classroom and practical methods, this program prepares you to succeed as a Poolwerx Franchise Partner. We offer ongoing learning for all our Franchise Partners and your staff throughout your Poolwerx journey. Every winter, our support center staff and specialist trainers hit the road to deliver face-to-face training. From the latest products and equipment to legislation updates or technology advances, Winter is a great time to continue your learning. The combined knowledge and experience of our Poolwerx trainers and support staff is hard to match in any industry. From the smallest blow-up pool to huge water parks and film special effects, we’ve “been there, done that.” To leverage this huge pool of knowledge (pun intended! ), we’ve created e-learning content for all our Franchise Partners. This content can be accessed 24 / 7 by you and your team via our online training portal. Not only is it a great way to ensure the whole team is up-to-date, it also helps you retain and train your staff. There’s a saying often used in franchising, “in business for yourself, not by yourself.” Nothing could ring more true when it comes to the wide range of support services offered to you by Poolwerx. This list is not exhaustive but should be used as a guide for planning. Your Poolwerx journey will be supported primarily by your Business Development Manager. You’ll also be supported by our highly experienced, multi-award-winning and multi-disciplined Poolwerx field team. Your face-to-face engagement with this team begins post Pool School where you will complete the ‘forming good habits’ program. This program is competency based and completed as you work. The field team will work with you to complete quarterly reviews and annual business planning, supporting you to achieve both your personal and business goals. The Commercial Team is responsible for building national relationships with Commercial Partners across the areas of Realtors, Pool Builders, Insurance, Strata / Bodies Corporate, Hospitality and Institutions. 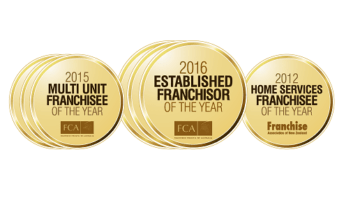 They work alongside our Franchise Partners to attend national roadshows and conferences, driving national leads at a local level. Poolwerx is the preferred supplier to many of these sales verticals. Poolwerx offers in-house Human Resource support though employment contract templates, recruitment advice and staff management issues. We can also advise and assist you on all Industrial Relations and Occupational Safety and Health issues. Accessing IT support services is simple within the Poolwerx system. With remote training and support, any tricky computer issues can be resolved quickly. No matter what technical issue you may face, with more than 600 Poolwerx people internationally, there is always someone to ask for help and guidance. This help is often accessed through forums, but a quick call to our support center staff can also quickly resolve any problems. This team is also responsible for a robust Road to Market program where all products sold through the Poolwerx network are tested under tough conditions to ensure we only sell the best products to your clients. As part of our commitment to your Poolwerx business success, we encourage you to grow and develop through our 4 Tiers in 5 Years business development program. This program helps you to grow across four “tiers” of business, from operating a single mobile service vehicle, to employing technicians across a fleet of mobile service vehicles, establishing or acquiring your first retail hub supported by your mobile fleet, and finally expanding further to run a multi-vehicle and multi-retail hub business. At every step along this journey, we’ll be right there by your side with all our training and support available. This training and support will become increasingly valuable as your business expands and becomes more complex. They say “the sky’s the limit” – and that’s certainly true when it comes to growing your Poolwerx franchise with us by your side!